Ten Multi Coloured Hajj Mubarak Balloons, with English & Arabic script. Loved by Hajjis, their children & grandchildren. Perfect for home, or school hajj days. Welcome home Hajji's - May Your Hajj Be Accepted, Ameen. 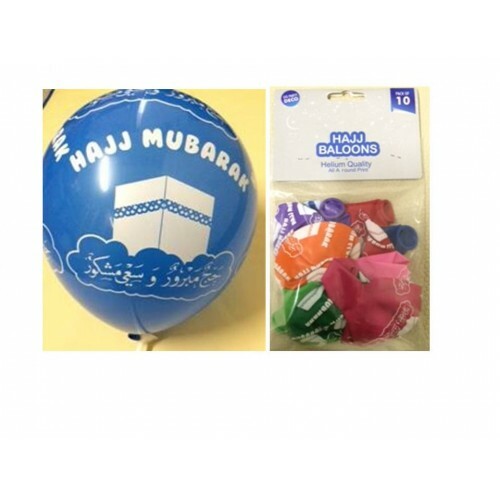 All around print - first time for Hajj balloons. Helium quality.